Reduce injury and promote recovery! Manual therapies to accelerate recovery! Recovery is just as important as sports performance to our team. We take into account that our clients don’t live their lives lying down on a table. Because of this, we will assess and treat you sitting and standing, as well as in any sport/activity specific position that you might be having trouble with. Sports Massage appointments are available for 1/2 hour and full hour long sessions and can be combined with personal training packages! 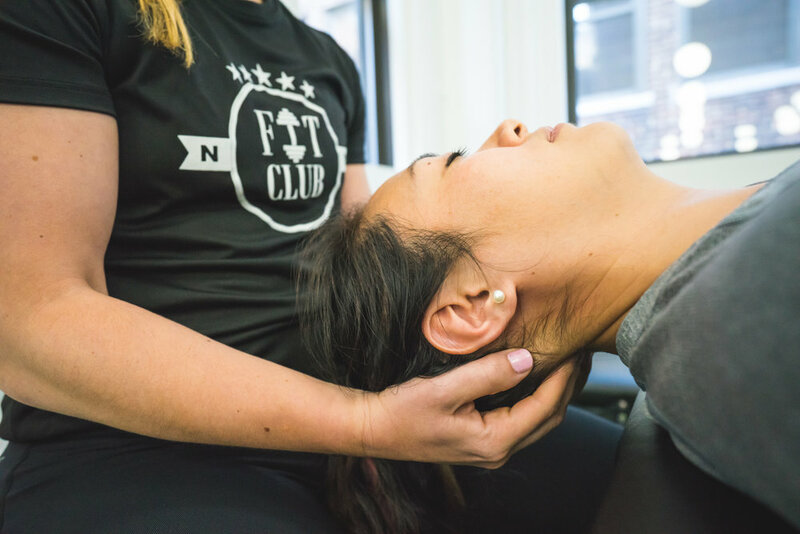 Book your initial evaluation with Fit Club today online or call us at 646-875-8348. We will schedule your first appointment within 24-48 hours!